Neymar has plenty of things to celebrate after the weekend. The Champions League winner saw his Barcelona teammates open the new La Liga season with a 1-0 win over Athletic Bilbao and while Neymar had to sit that one out through illness, he spent his rehab dominating the online poker world. 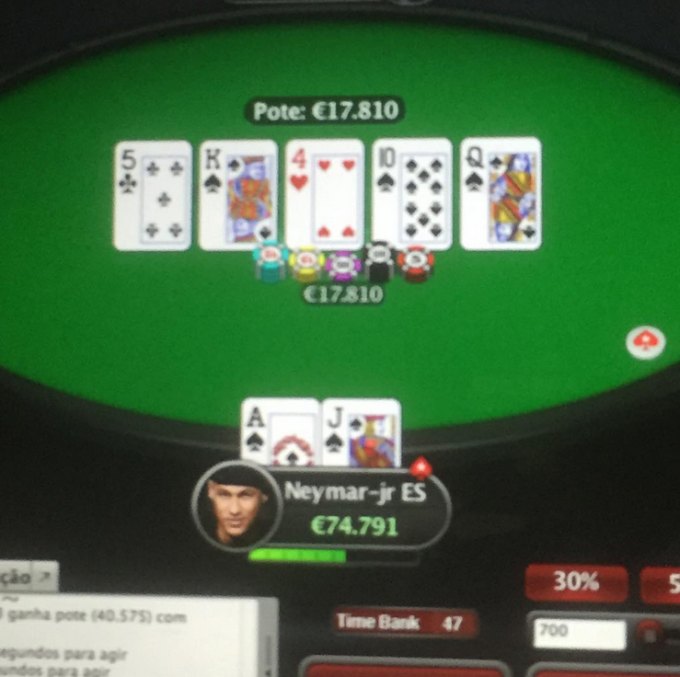 The Brazil forward, who is an ambassador for PokerStars, regularly uploads photos of him and his friends playing cards on Instagram and this weekend he landed an incredibly rare hand of a royal flush, which pocketed him €17,810. Neymar&apos;s total winnings were €92,601. Neymar was already sitting on close to €75,000 – so the €17,000 from his royal flush took him over the €92,000 mark. Neymar&apos;s been ruled out of action for the last few weeks with a case of mumps but rejoined training with Barcelona at the end of last week. Let&apos;s see if his good fortune rubs off on his Barca teammates.